On the 15th December I took part in the OK DX RTTY contest and I blogged about it here. 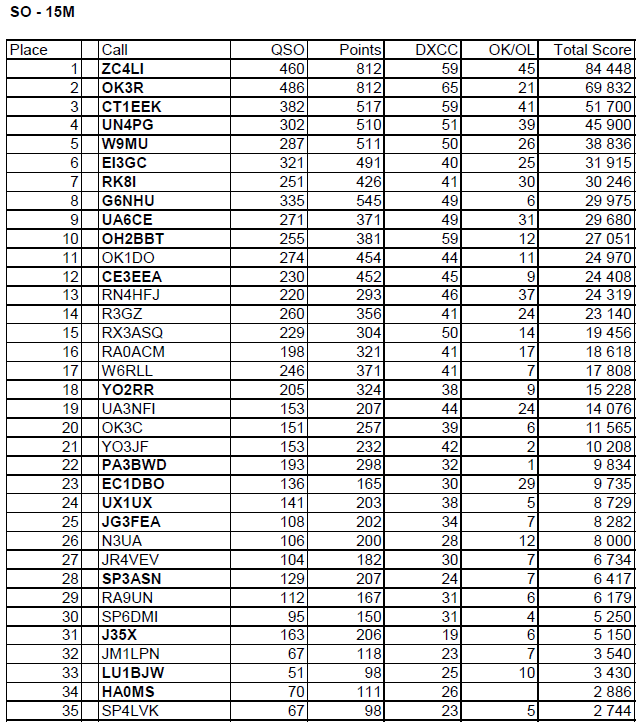 Yesterday I was pointed at the results by OK1RIG and I have to say that this has to be one of the fastest sets of contest results I’ve seen so that’s great work by the Czech Radio Club. My entry was a single band on 15m and here’s the results for that section. I didn’t expect a winning result but I’m happy with my placement of 8th out of 58 (only the top 35 are shown above) despite the very low number of OK stations I worked. I’ll try and do better next year though.